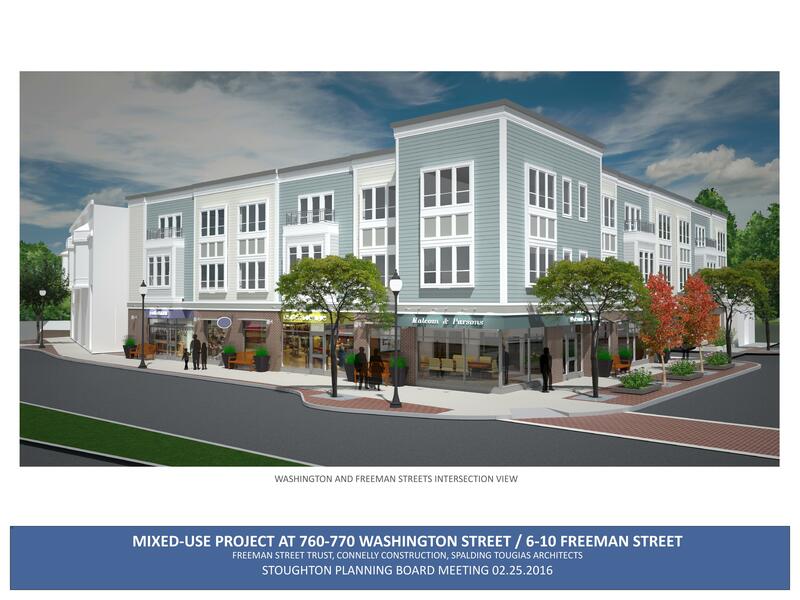 A new mixed-use building was approved for development at 760-770 Washington Street and Freeman Streets in Stoughton. The approval for this project was made by the Stoughton Planning Board in February of 2016. The project consists of 14 residential apartments on two floors and over 5500 square feet of commercial space on the ground floor. Construction is expected to begin this fall, 2017.